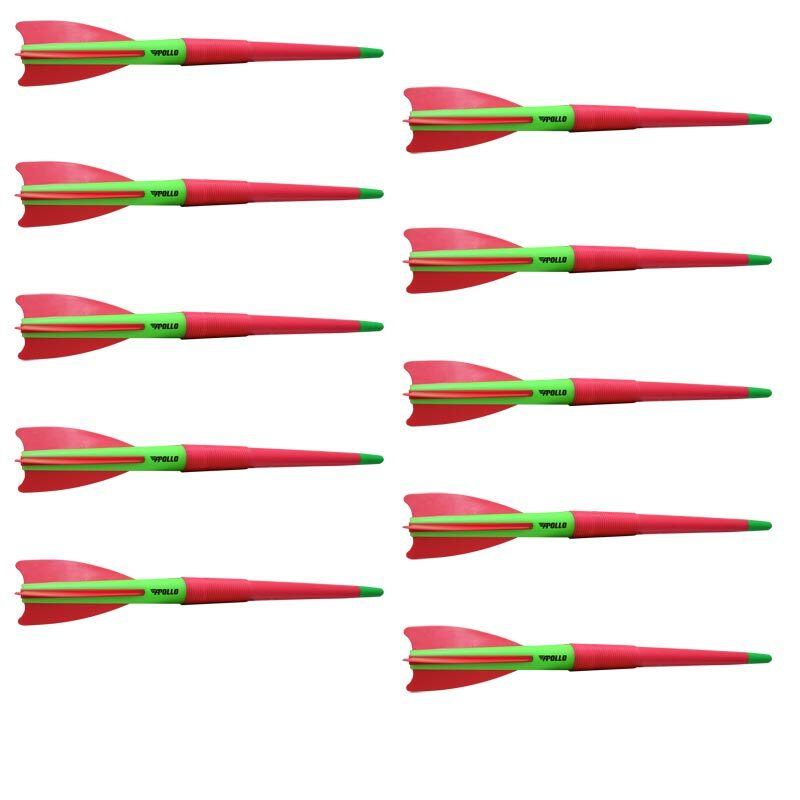 Apollo Training Javelin 10 Pack is hard wearing plastic javelin pack, which is ideal for teaching the basic javelin technique for children and beginners. The rebound plastic tip is ideal for outdoor use. Manufactured from a common thermoplastic polyme Acrylonitrile butadiene styrene (ABS). The flight can be lightly lubricated to assist construction.